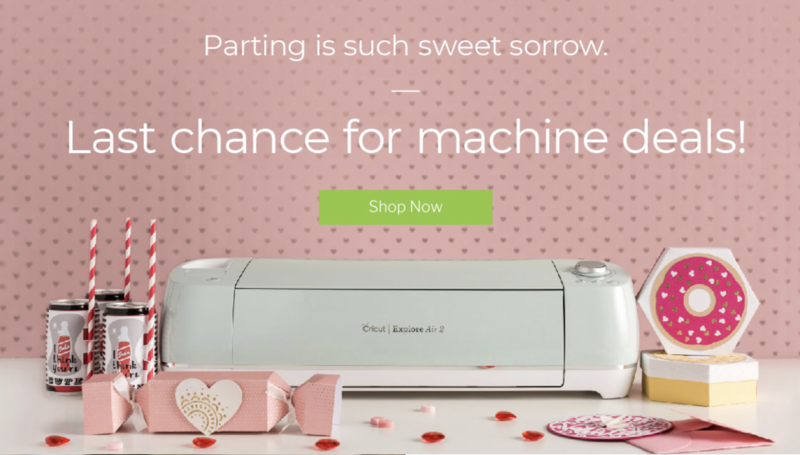 Pull out your Cricut or Silhouette and get crafting! 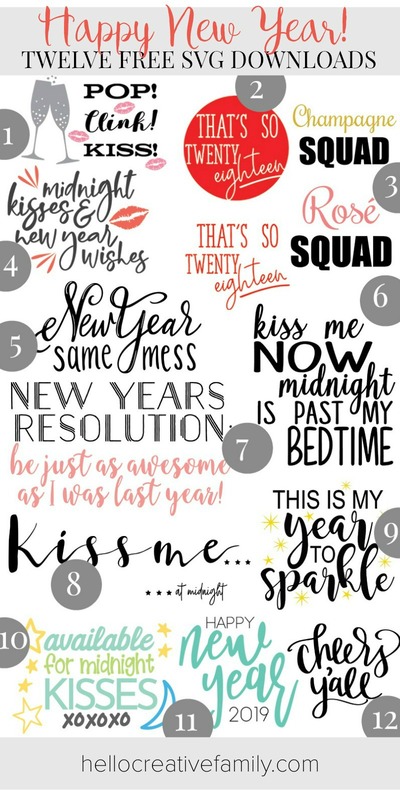 We’ve teamed up with 11 of our favorite craft and DIY bloggers and are sharing 12 free New Year’s Eve SVG Files! 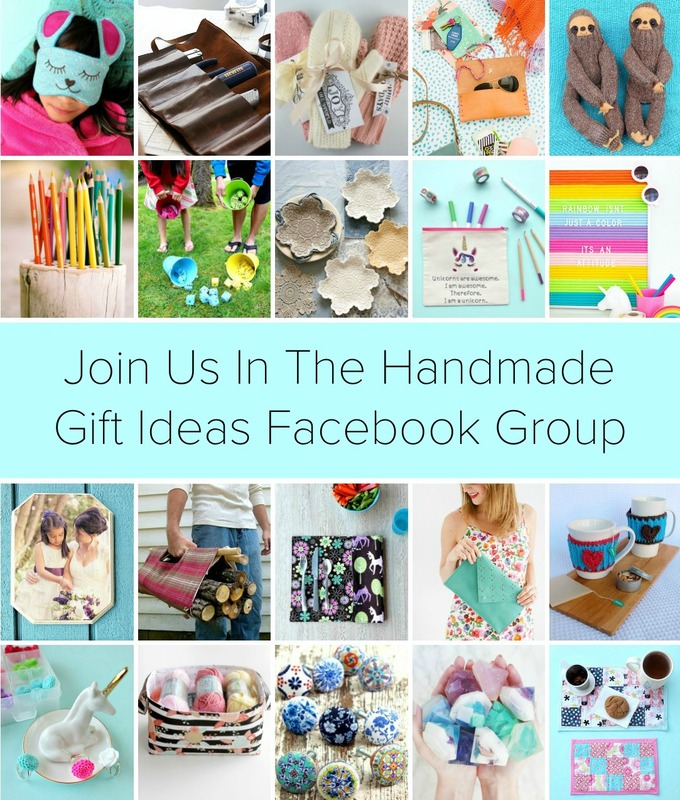 If you are anything like me you are in the THICK of Christmas crafting! But do you know what comes less than a week after Christmas??? New Year’s Eve! 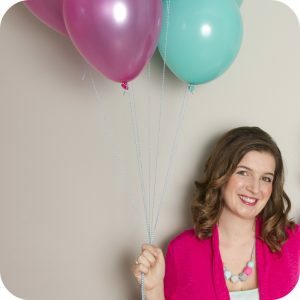 Today we’re taking a momentary break from Christmas to bring you some awesome New Year’s craft ideas! 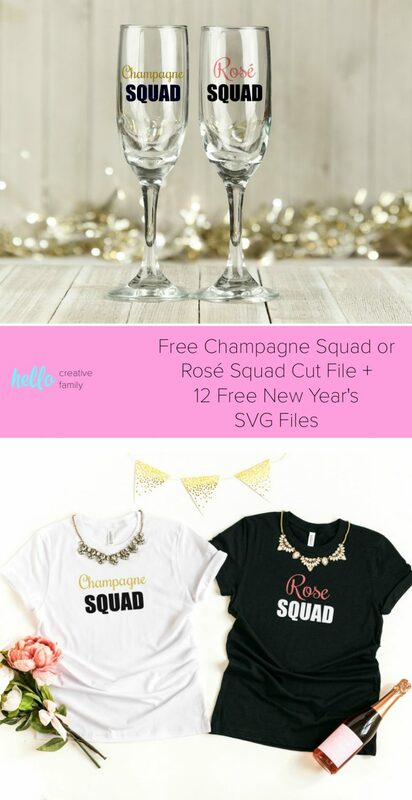 Once again we’ve teamed up with some of our blogger besties to bring you a ton of awesome New Year’s SVG files that you can download FOR FREE! Yep– Free! 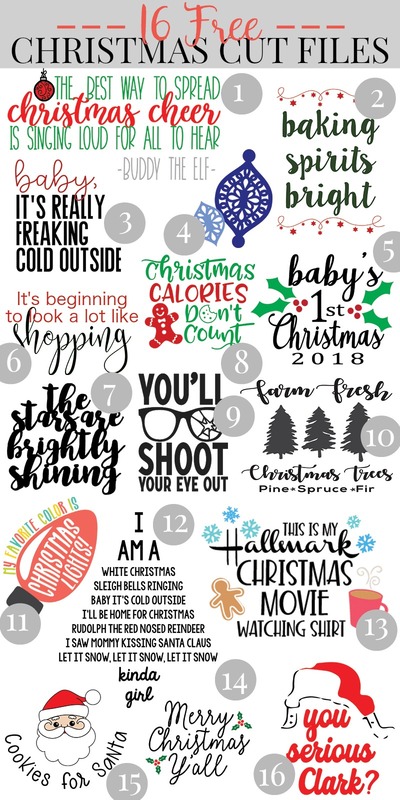 You all seem to be loving these free SVGs so much that we decided to team up for a bunch of holiday blog hops throughout the year! 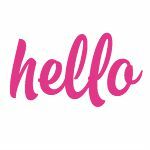 If you love these free SVG’s, make sure you hop around from blog to blog, download them all, and leave comments to let us know you love them so that we continue to bring them to you! So let’s chat about New Year’s Eve, shall we? When I was in my early 20’s I lived in an apartment in downtown Vancouver right on the street that’s known to be Vancouver’s epicenter for shopping and restaurants– Robson Street. For New Year’s Eve I would invite a bunch of friends to my apartment, we’d jump from restaurant to restaurant on Robson, and join in all of the festivities and merriment as we counted down to the New Year. In the wee hours of the morning everyone would find a corner of my apartment to crash and then we’d wake up sometime late on New Year’s Day and spend the day together. 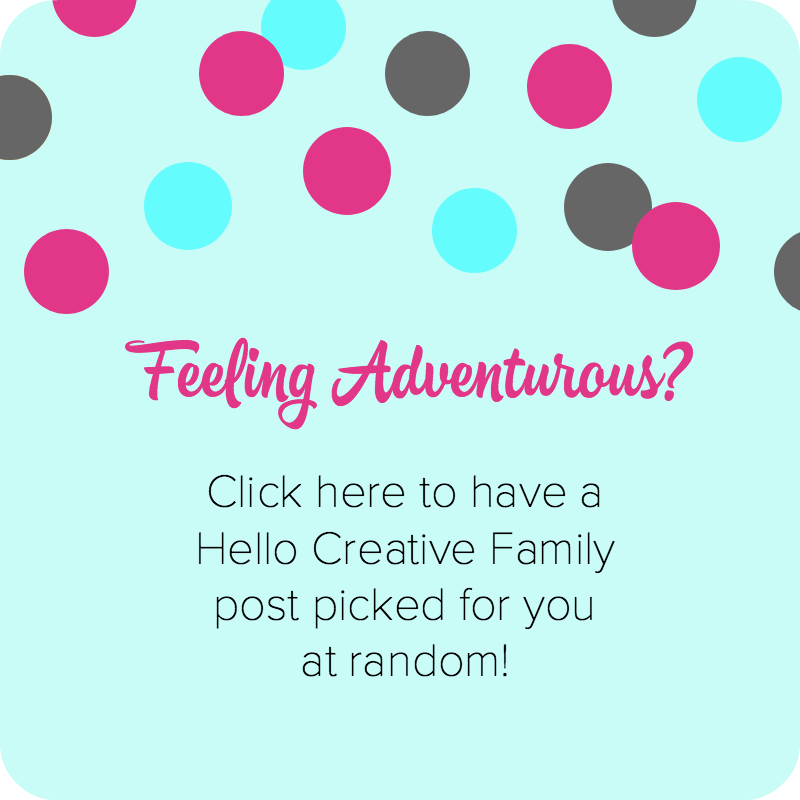 Then I grew up, and well– #MomLife kicked in. -What am I going to wear? My pj’s or yoga pants and a comfy t-shirt? -What are we going to order for dinner? Takeout sushi or pizza delivery? -What are we going to drink? 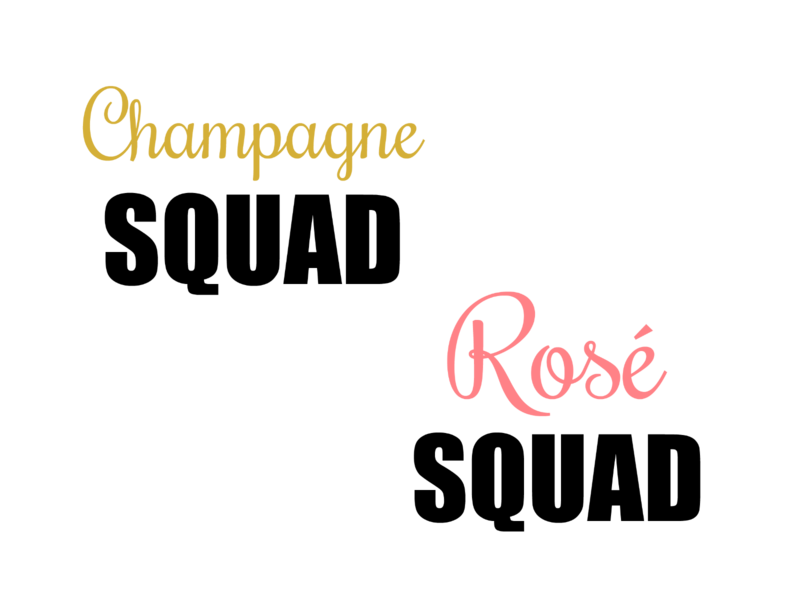 Champagne or Rosé? 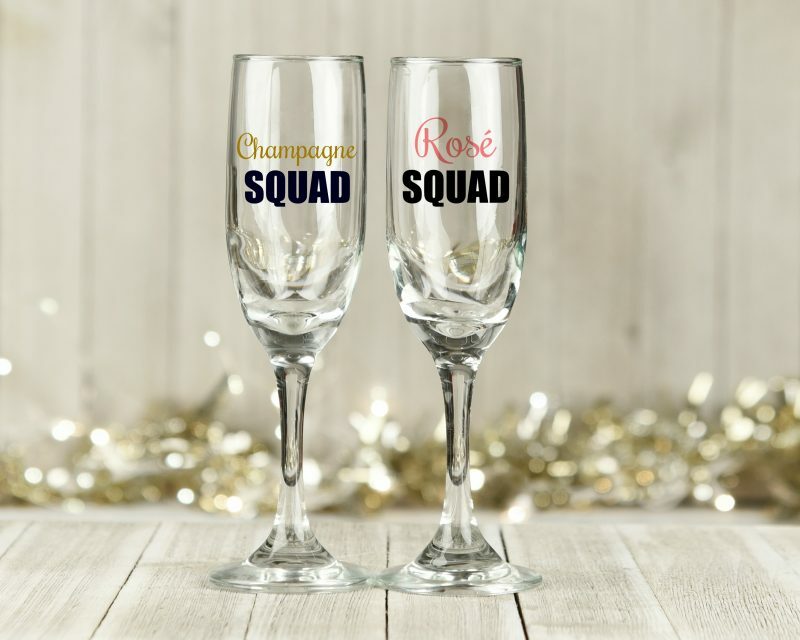 I decided to jump on the Rosé and Champagne idea and create these adorable Rosé Squad and Champagne Squad SVG files. 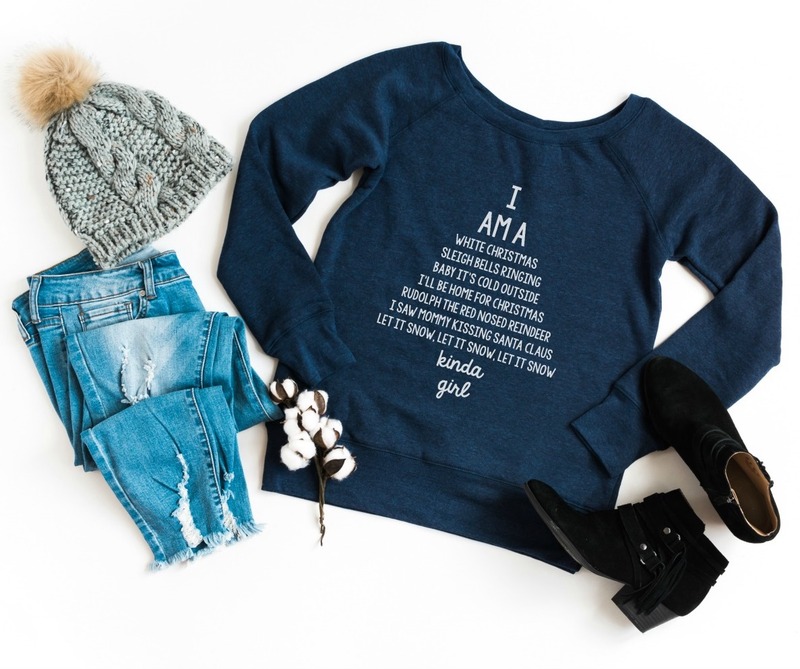 Whether you are spending the evening in with just your family, or getting together with a bunch of girlfriends, shirts made with these designs are sure to be a New Year’s hit! Seriously! How adorable are they??? I think these would also be super cute for bachelorette parties, though those days seem long gone for me. LOL. 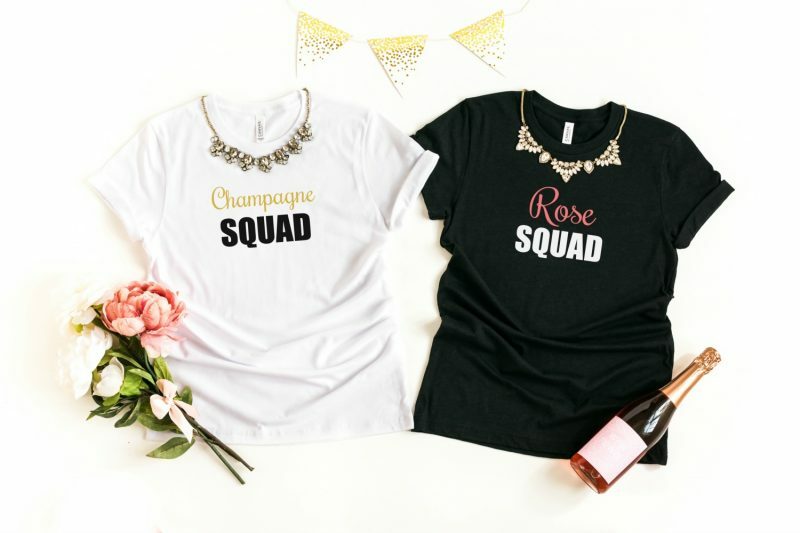 Want to whip up some shirts of your own (or maybe some adorable wine glasses?) 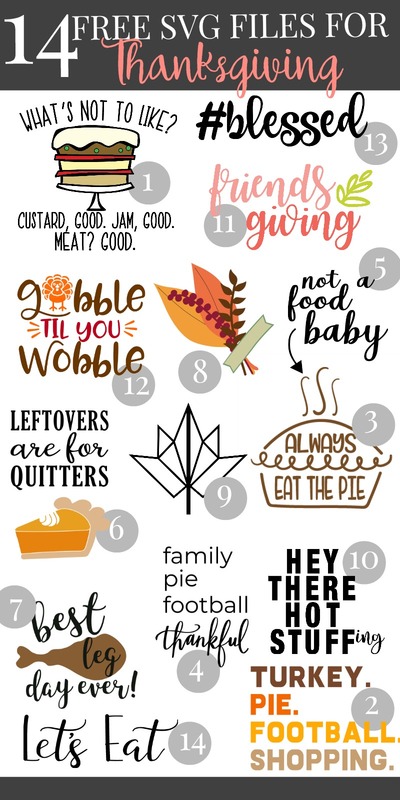 Download these free SVG files here. Ready to see the amazing New Year Eve SVG files that my friends made? How awesome are these? 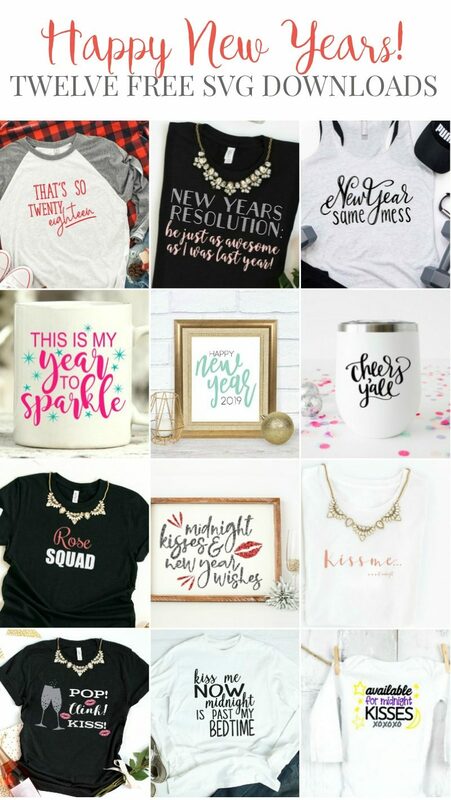 Make sure you visit each of the blogs and download the New Year’s Eve SVG files so that you have them for future projects! Tell me… What is the first thing that you will make with one of these designs? What does your New Year’s Eve typically look like? 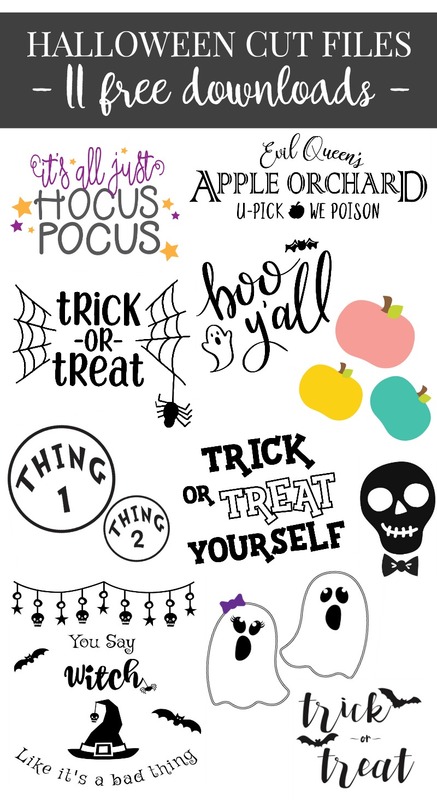 Also make sure to check out our SVG Files section and to visit our Christmas, Thanksgiving and Halloween SVG Blog hops! Those shirts are so cute.